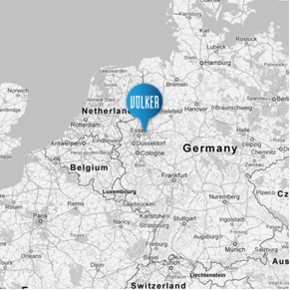 Völker is headquartered in Witten, Germany. Witten, Germany – CoBe Capital, a global private investment firm focused on operation of non-core and underperforming business units, announced today that an affiliate has completed the acquisition of the Völker business from Hill-Rom Holdings, Inc. (NYSE: HRC). Headquartered in Witten, Germany, Völker is a premier producer of high quality long-term care and acute care healthcare beds. Völker has been a market leader for decades and is well-known for developing a new generation of top-choice beds for occupants and caregivers alike. 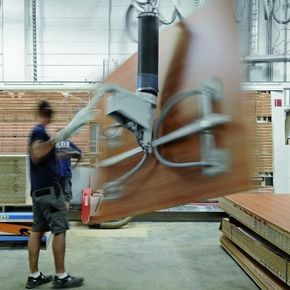 Continuous product innovation and process improvement are hallmarks of Völker, which employs nearly 250 people at its Witten-based production site. Dr. Knuth Schmidt, CoBe Capital's Director of European Operations, and Samuel Zurkinden, CoBe’s Senior Vice President of European M&A, will work closely with Völker’s management team throughout the transition and implement an operational plan that will promote long-term profitability. This is the fourth consecutive transaction in which CoBe Capital has acquired a European business unit from a US-domiciled multinational corporation. CoBe Capital now has two businesses with operations in Germany in addition to one of its own European offices, which is in Cologne, Germany. Based in Witten, Germany, Völker develops and produces premium quality beds and healthcare furnishings for the long-term care and acute care markets. Völker boasts a strong track record of innovation, continuously producing beds that fulfill the highest regulatory requirements. In addition to its beds, Völker also provides an extensive range of bed-related accessories, such as furniture, mattresses, lamps, and steering devices as well as various customer and technical services. For more information on Völker, please visit voelker.de.